1. Start with the freshest flowers. The flowers with the best chance of lasting a long time are the freshest ones. 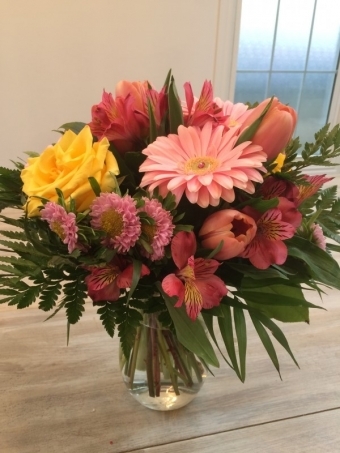 Wherever possible, Country Basket Flower Boutique purchases flowers from local, trusted growers and reputable suppliers who deliver to our shop daily. Once the flowers arrive in our shop, we go through a series of steps to rehydrate them and extend their life. 3. Get educated! 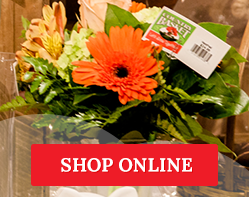 We will show you how to get your bouquet home safely. In cold weather, your bouquet should be wrapped properly to ensure the blooms don’t freeze. 4. When home, fill a vase with cool fresh water. Make sure any leaves on your bouquet are not below the water level; this will cause them to rot. 5. Place your bouquet in a cool spot in your house, out of the direct sunlight. 6. Change the water and flower food (we’ll give you some free!) every other day. By following these 6 tips your bouquet should beautify your home a minimum of 5 to 7 days. So drop by today and bring a little freshness and colour into your home!